Even though it's only mid-October, the holidays will be here before we know it; in order to get a preemptive leg up on the gift giving process, I am excited to share gift ideas apropos for four types of beauty lovers in your life: the Minimalist, the Beachy California Girl, the Glow Getter and the Brow Enthusiast. Possessing stunning packaging (no need to toil over wrapping!) 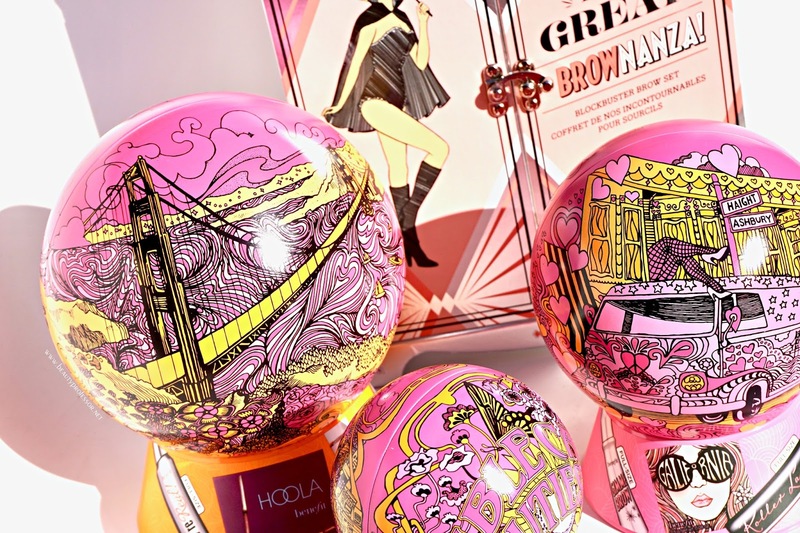 and extremely wearable formulas, these limited edition sets from Benefit (currently available at ULTA) reflect mindfully edited product combinations, are at a marvelous price point and will make gift giving the joy that it should be! Cable Car Cutie or Galifornia...which one is more you? 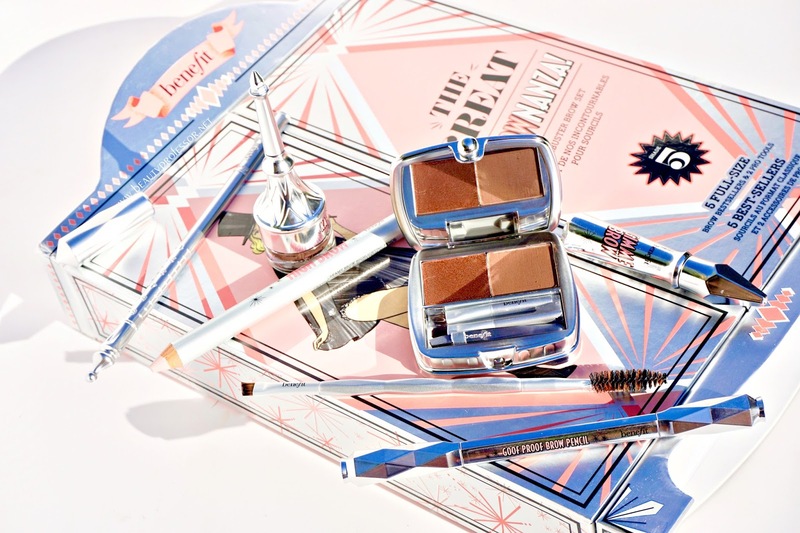 (1) For the Beauty Minimalist: The *Benefit Cable Car Cuties Limited Edition Holiday Value Set features three streamlined best-sellers to subtly enhance the face. 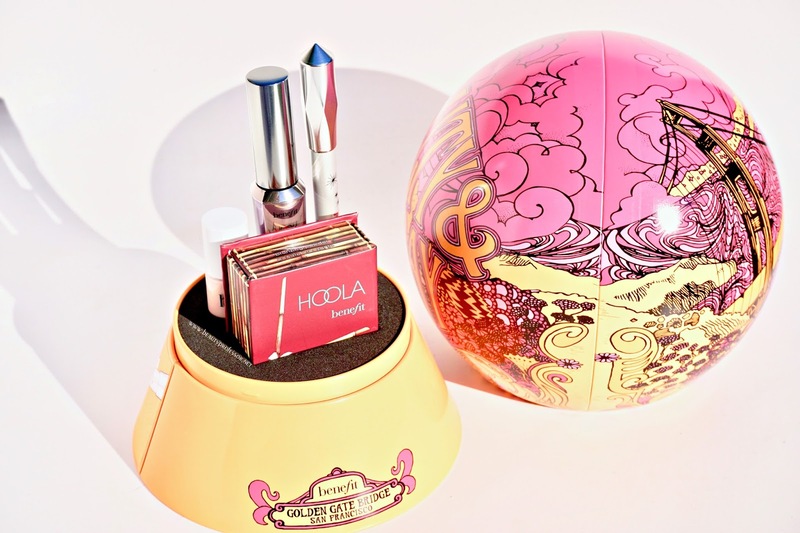 Housed in a darling metal hot air balloon, this trio includes the ever popular POREfessional, which matches all skin tones, minimizes shine and the look pores and primes skin for any foundation to come. 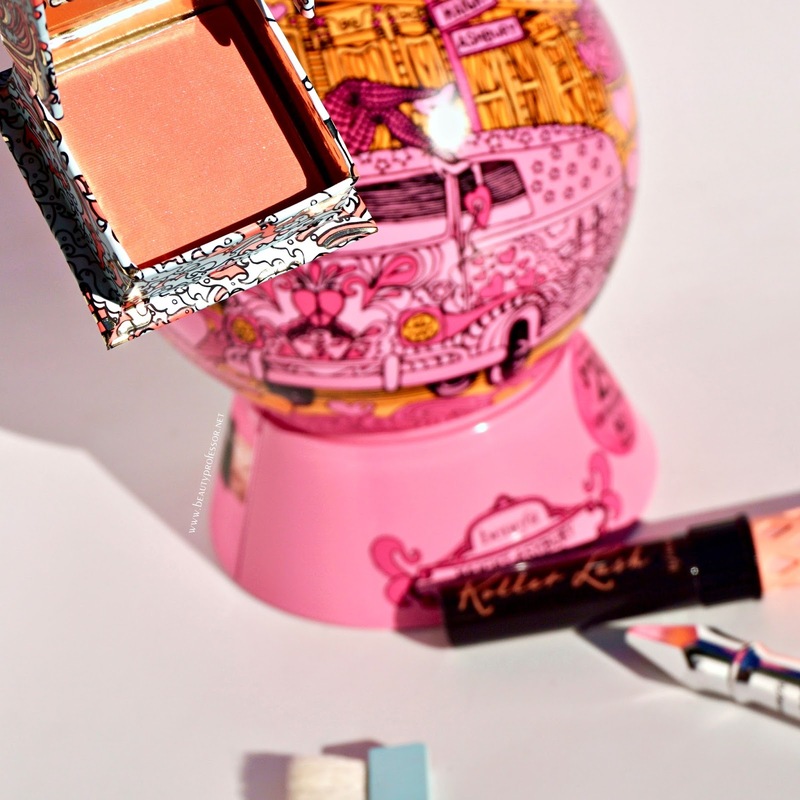 The set also comes with the resplendent rose gold Rockateur blush; this universally flattering hue instantly brightens up the complexion, making it positively effortless on the cheeks. Finally, there's a mini Gimme Brow, which works to add depth, dimension, fullness and hold to brows. A flawless canvas, tender flush and polished brows...what else does a minimalist need? Next stop: gorgeous! 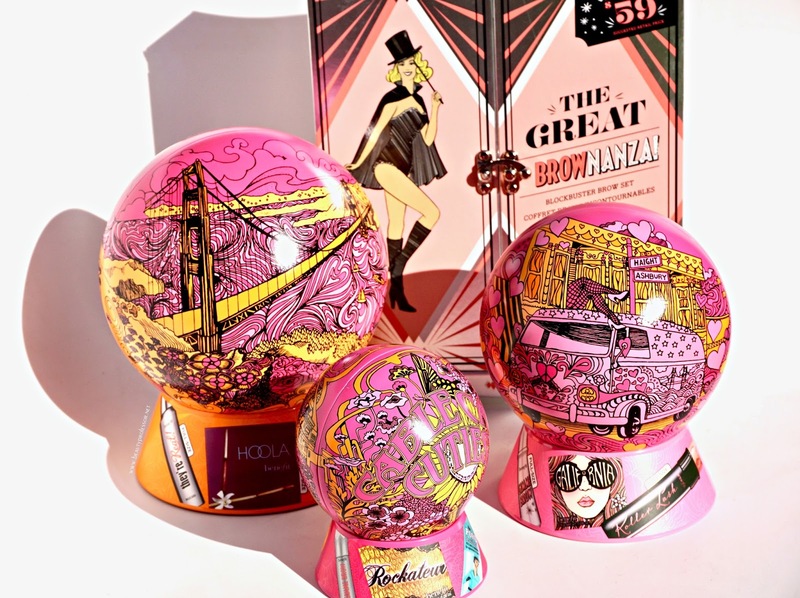 This limited-edition holiday gift set contains portable sizes of Benefit's #1 face primer POREfessional, award-winning volumizing eyebrow gel, Gimme Brow, and Rockateur Rose-Gold Blush...all in an adorable, reusable tin! 2 minis and 1 fun-size. Pick up a few for last minute gifting "emergencies." 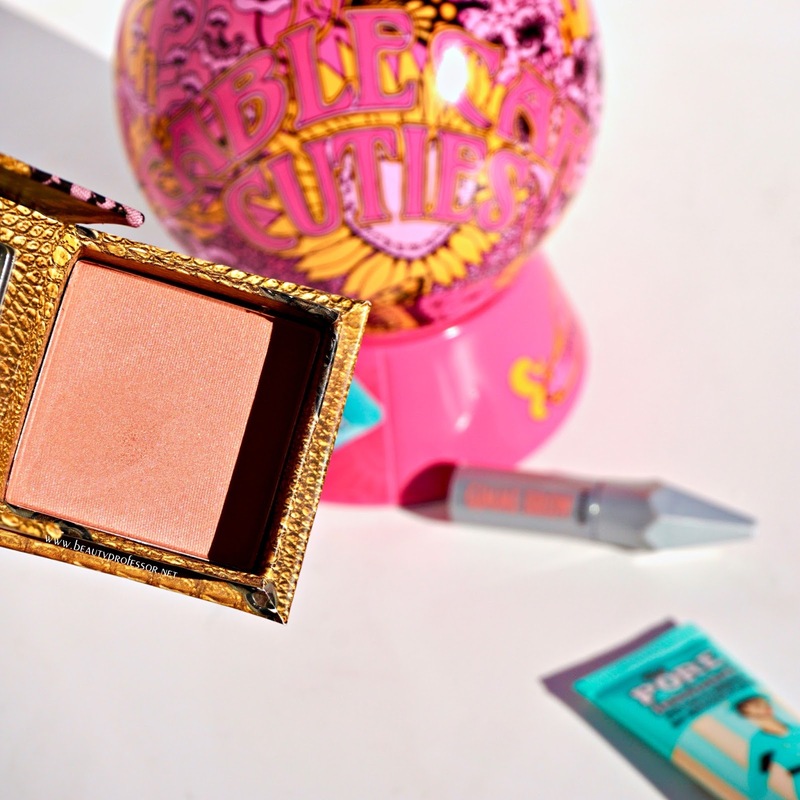 • Benefit bestsellers at a GREAT value! Up close and personal with the rose gold Rockateur. (2) For the Beachy California Girl: The *GALifornia Love Limited Edition Holiday Value Set delivers a serious dose of sunshine. Also nestled in a mood-lifting metal hot air balloon, this trio includes the gorgeous peachy pink GALifornia blush, an absolute star in its own right. The quintessential balance of warm peach and neutral pink, the formula has soft radiance for a post-beach effect that makes cheeks that look lit from within. Additionally, lashes get a boost with the Roller Lash Super Curling and Lifting Mascara and Gimme Brow ensures that brows are exactly as the should be: full, natural and lush. The peachy pink GALifornia is velvety smooth and marvelous for a fresh pop of color. Look your "West Coast best" with 2 full-size and 1 mini included in this limited edition set for brows, cheeks & a dash of lash. 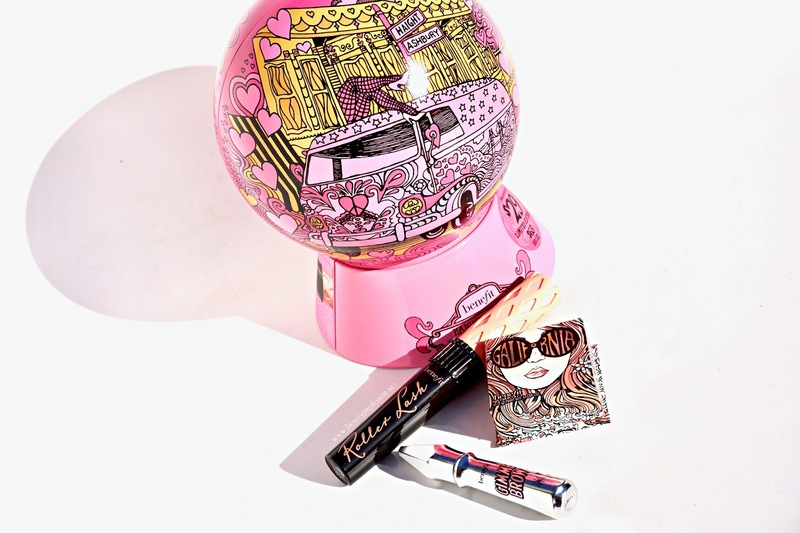 Volumize, tame & tint brows with Gimme Brow, super-curl & lift lashes with Roller Lash Mascara and sweep on a golden-pink flush with GALifornia...it all comes in a collectible, reusable tin! Everyone loves a GALifornia girl! 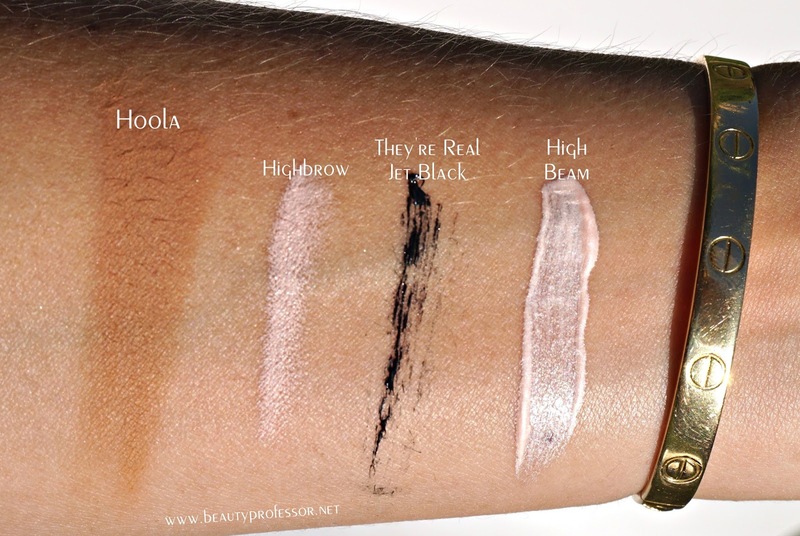 (3) For the Glow Getter: The *Beauty and the Bay Limited Edition Holiday Value Set focuses on gently sculpted and radiant skin, courtesy of the iconic Hoola Bronzer (a neutral tan that works to bring out the best in all skin tones) and the classic High Beam, a pearlescent liquid illuminator that excels when applied to the high points of one's face (e.g., upper cheekbones, down the bridge of the nose and above the Cupid's bow). To complete the glowy look, the High Brow pencil accentuates the natural arch of one's brows with a single sweep of the pale pink pencil and two coats of the jet black They're Real Mascara provides a punctuated contrast to all that incandescence. 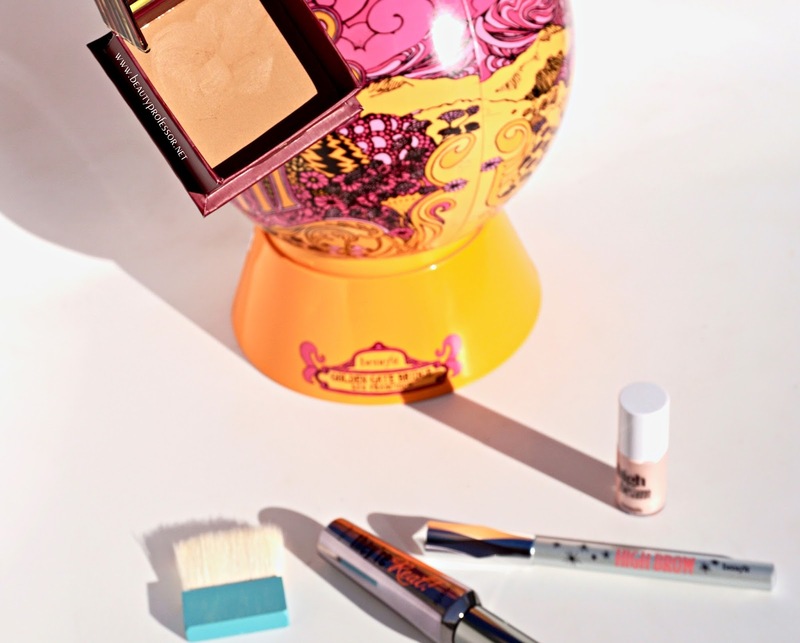 The set features the cult-favorite bronzer, Hoola, which performs well on a spectrum of skin tones. Highlighter, bronzer & a dash of lash will have you looking beautiful this holiday season with 3 full-size products and 1 mini! Guaranteed to top every gal's holiday wish list...pick one up before they're gone! 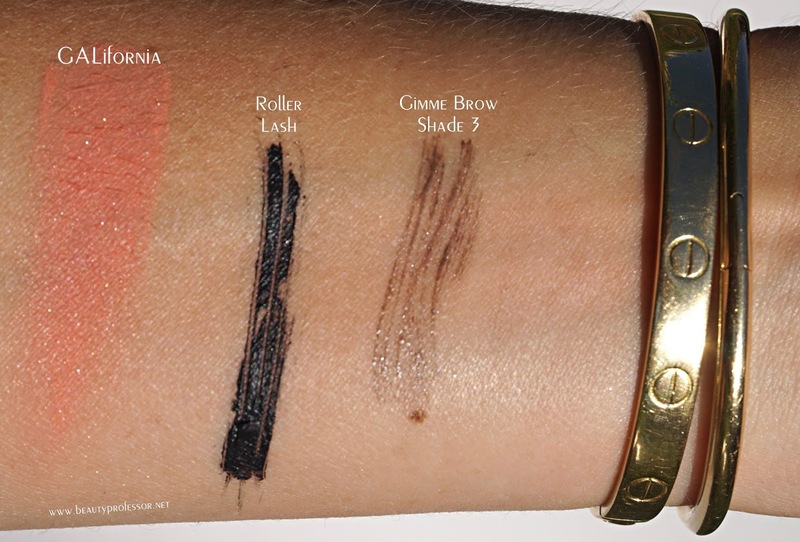 Swatches of the *Beauty and the Bay Limited Edition Holiday Value Set in direct sunlight. 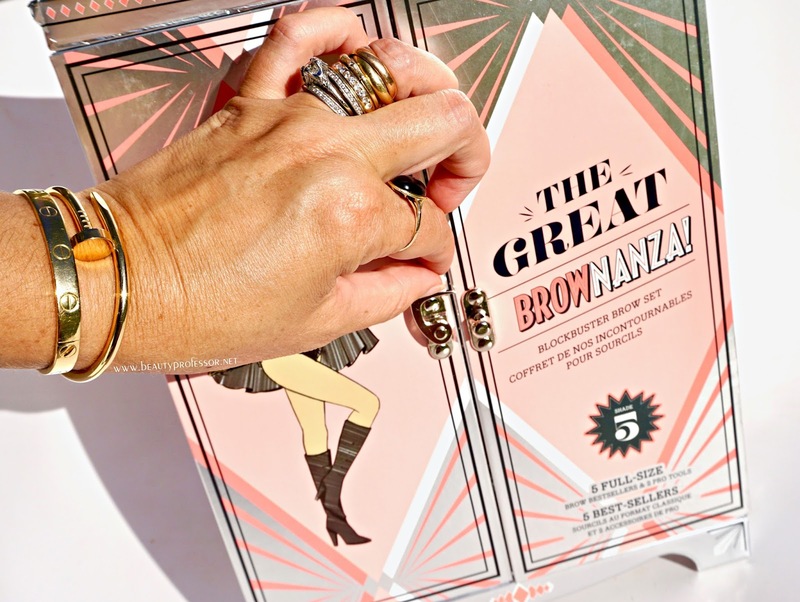 (4) For the Brow Enthusiast: *The Great BROWnanza Blockbuster Brow Set is an excellent indulgence for those who enjoy devoting the optimal amount of attention to their brows; with formulas for every need, mood and situation, this set is the gold standard in brow diversification. 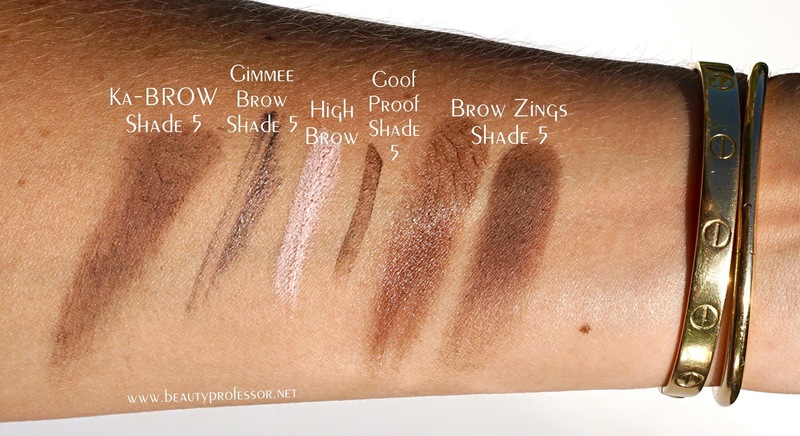 The rich Ka-Brow cream comes replete with a convenient brush applicator, High Brow creates a precise highlight right below the brow line, the Goof-Proof pencil features a slightly angled tip for exact shape with every application and the dual-sided Brow Zings compact houses a powder and a tinted wax side-by side for beautifully defined and set brows. The set also includes a brow mapping tool a full sized Gimme Brow and angled eyebrow brush and spoolie; arch perfection is but a gift away! 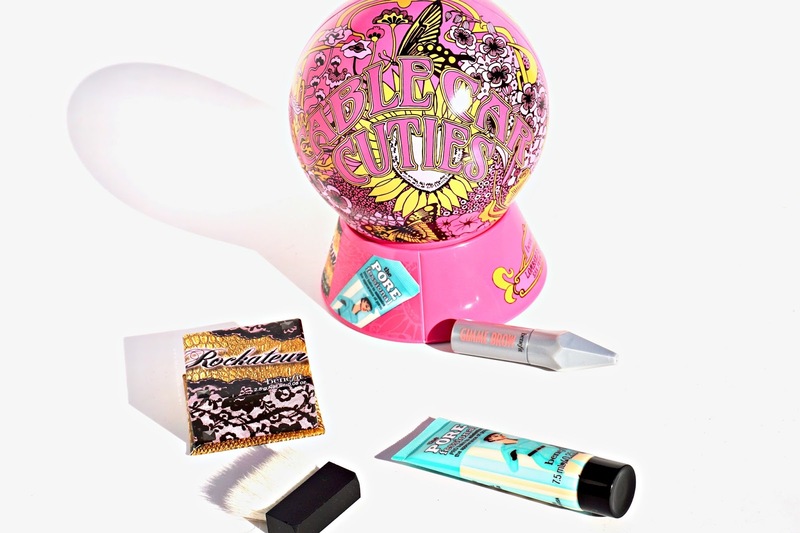 This limited edition, blockbuster eyebrow kit contains 5 full size Benefit brow bestsellers and 2 PRO tools at a BIG value! 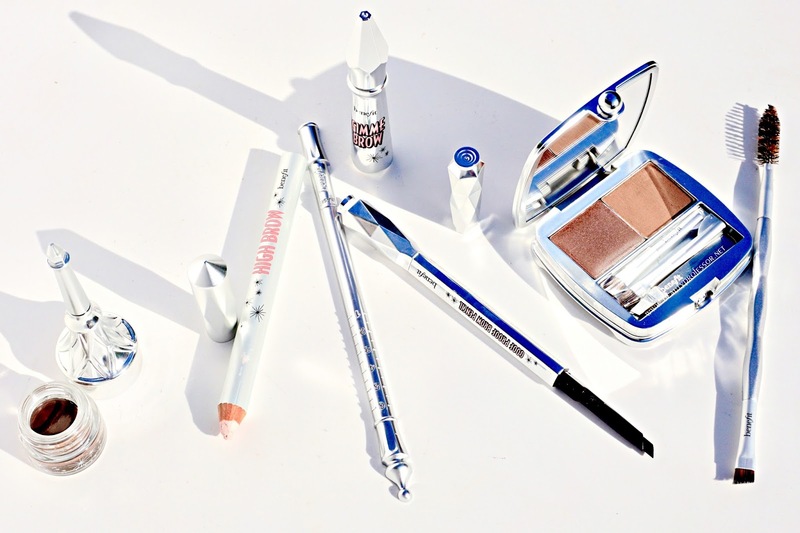 This set includes everything you need to instantly transform skimpy, patchy, & barely-there brows into GREAT brows! Define, fill, tame & shape...this must-have eyebrow set is the fun & foolproof way to becoming "your own brow expert." • Best eyebrow kit...AMAZING VALUE! Additional details: ...and Other Stories Silk Blouse + Benefit Punch Pop Liquid Lip Color in Watermelon. Bottom Line: I hope you found this first foray into holiday gift giving for 2017 inspiring and would love to hear which Benefit sets may have caught YOUR eye...do tell! Good things ahead including a London wrap up, a fresh video and a host of new holiday 2017 product procurements! Also, I'll be in Orlando, FL for a few days...any suggestions on things to see and do? 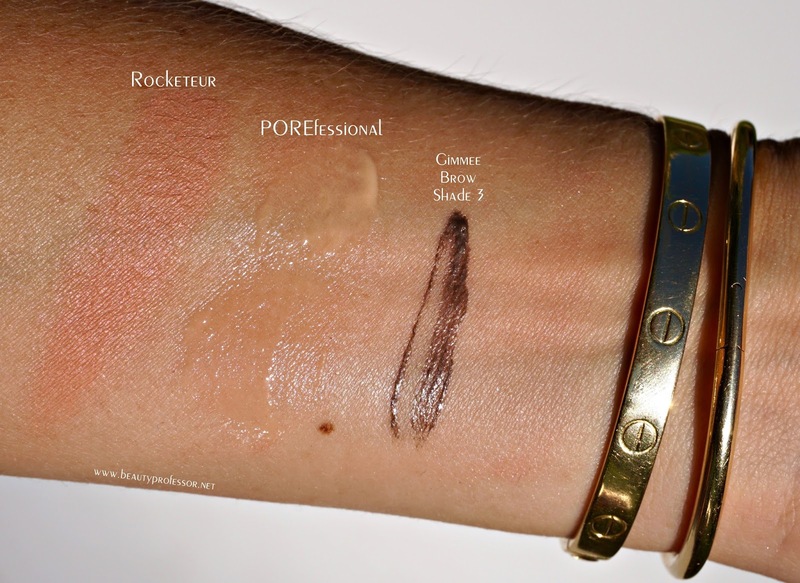 --The Beauty Professor **Thanks to ULTA for sponsoring this post. PR samples provided for review denoted by an asterisk (the rest purchased by me), however, as always, all of my opinions are expressly and unequivocally my own. © 2012-17 Beautyprofessor® All Rights Reserved. Do not copy, reprint or republish content and/or photos without author's written permission. Florida speaking up--in Orlando, The Mall at Milennia. Leu Gardens for tropical splendor (features the largest rose garden in the Southeast when roses are in bloom in the spring). Check out Old Florida around Eola Heights, and head over to Thornton Park for hip eats/drinks. Have fun in the summer heat we are having in October!